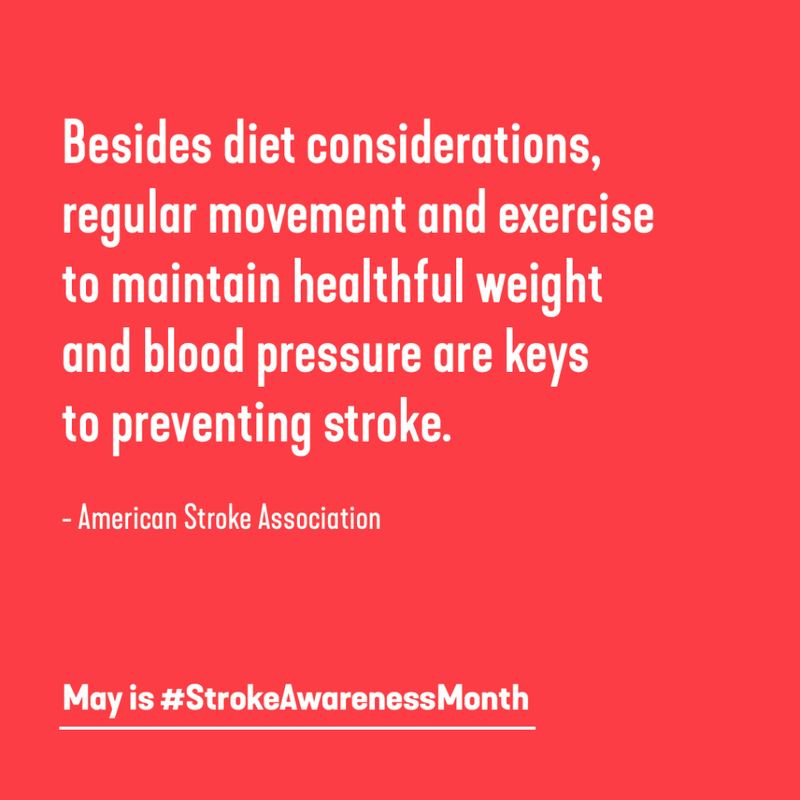 As we start what’s been known since 1989 as National Stroke Awareness Month (May), Palmer physical therapist Anne Thomas is eager to point out that stroke is a medical emergency that’s highly preventable, and that movement and exercise are keys to such prevention. According to the Centers for Disease Control and Prevention (CDC), nearly 800,000 people suffer strokes in the U.S. each year – about one stroke every 40 seconds. Stroke is also the No. 1 cause of serious, long-term disability in the U.S.
Up to 80 percent of stroke emergencies, however, can be prevented, says the American Stroke Association. The Mayo Clinic suggests all adults get at least 150 minutes of moderate aerobic activity or 75 minutes of vigorous aerobic activity each week, along with regular strength training. Such regular exercise, Thomas says, can help lower blood pressure, maintain a healthful weight, improve energy and mood, and yes, reduce the chances of suffering a stroke. Should someone have the misfortune of experiencing a stroke, however, Thomas says that physical therapy is essential in helping sufferers restore movement, lesson their disability and improve their quality of lives. By working with patients to improve balance and retraining motor skills, a physical therapist can help them maintain a higher level of independence and regain a sense of normalcy. In this spirit, if pain or injury is keeping you from leading an active (and healthful) lifestyle or from maintaining a regular exercise routine, Thomas says the physical therapy team at Body In Balance Physical Therapy can assess your difficulties and help you overcome these obstacles.